This is it. 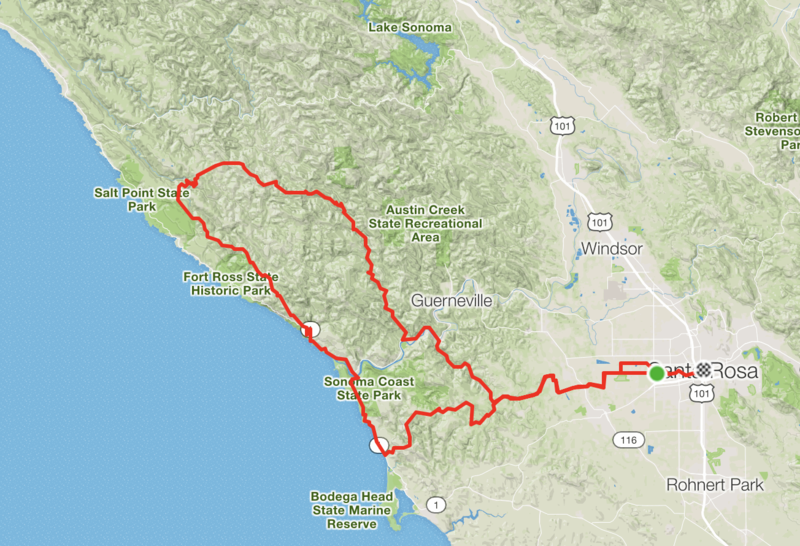 The original route that started this whole GranFondo circus. There isn’t enough space to detail all you’ll encounter here, but suffice to say that it’s the definitive cycling experience in our hemisphere. From the damp redwood forests at the base of King Ridge to the 360-degree panoramas at the butcher knife-thin top, this is the stuff of memory. And if you think the climbs are amazing, the descents down Hauser Bridge Road and Meyers Grade will stay with you for the rest of your days. While it’s our biggest and most popular route, it’s still not for the faint of heart (or leg): the fastest times recorded on this route are barely under 5 hours and done by professional riders who compete at the topmost level of the sport.